If you dream of a career in tax or accounting, you’ll need to be a master at identifying fiscal inconsistencies, understanding government legislation and balancing your clients’ books. 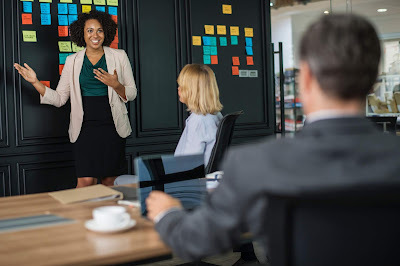 But although these technical (or hard) skills are intrinsic to succeeding in your future profession, soft skills, such as your ability to form good relationships with customers and your willingness to work as a team, will make you more attractive to prospective bosses. Cultivating both your hard and soft skills while you study isn’t as challenging as it might seem. Here are four top ways to supercharge your employment potential by proving you’re a candidate with the total package. The idea that accountants and taxation professionals crunch numbers without customer interaction is a thing of the past. These days, working in the accounting industry means communicating with clients, resolving their problems and learning to respond to their social cues. Getting a part-time job in hospitality, retail or customer service while you study can help you understand the art of anticipating and responding to customer needs. Once it’s time to put those soft skills into practice, it’ll be second nature. An undergraduate qualification in taxation or accounting is not enough to make you stand out. Whether it’s learning a piece of up-and-coming financial software or brushing up on your knowledge of new legislation by enrolling in The Tax Institute’s Graduate Diploma of Applied Tax Law program, investing in your hard skills can be a shortcut to competitive advantage. From collaborating with IT vendors to working with senior management, taxation professionals must be increasingly equipped to meet individual deadlines while working as part of a larger team. Taking up an after-hours sport such as soccer, football or tennis can help you learn how to work with colleagues, anticipate co-workers’ strengths and weaknesses and thrive in a team environment – an all-important soft skill that’s bound to put you ahead of the pack. A career in accounting can set the stage for international opportunities, but a working knowledge of audit procedures isn’t enough. Signing up for an after-hours class to learn a second language can seriously boost your set of hard skills while broadening your professional horizons. Although hard skills are critical if you want to establish a career in taxation or accounting, teamwork, communication and customer service play an indispensable role as well. What moves have you recently taken to boost your hard and soft skills? Find out more about our education program and professional development subjects.